Times are tough in Cleveland. How tough? Today a story gave us some sense of the distress felt by many people. The times in Cleveland are so challenging that, when the Horseshoe Casino Cleveland announced that it was accepting applications for table game and poker dealer jobs that pay between $17 and $22 per hour, 11,800 people applied for 500 openings. Some applicants even took special coaching classes at a nearby community college to try to improve their interviewing skills and show the dazzling personality that casinos apparently are looking for in table game dealers. In 2009, when Ohio voters approved the constitutional amendment allowing casino gambling in our state, it was sold as a way to create jobs — and at least that promise is being kept. Two years later, the economy still stinks, and former construction workers, machinists, and medical billing technicians who have been out of work for months are so desperate that they have flooded a not-yet-open casino with applications and even taken classes in hopes of improving their slim chances of landing a job dealing blackjack. In my view, that painful reality says a lot more about the true extent of our economic problems than cold statistics ever could. Recently the University of Illinois College of Law announced that Law School Aptitude Test (LSAT) and grade point average (GPA) statistics provided on the school’s website were inflated. The school posted the correct numbers, said it was conducting a thorough review of how the error happened, and placed the dean of admissions on leave as part of the investigation process. 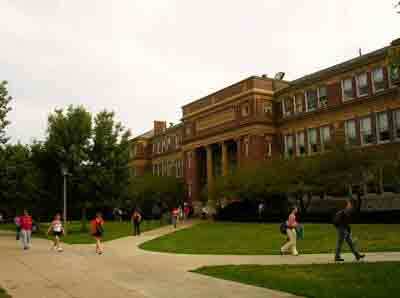 The incident is part of a broader trend of concern about the credibility of law school admissions statistics at the beginning of the law school experience (the LSAT scores and GPAs of the incoming classes) and the placement statistics at the end of the process (how many graduates get law-related jobs). The LSAT and GPA statistics are significant to the law schools’ ranking by the U.S. News and World Report, which uses those numbers to measure “selectivity.” Every college and graduate school student, parent, professor, and administrator knows that the U.S. News and World Report ranking carries a huge amount of weight. With law school admissions dropping — and they fell by 10 percent in 2011 — schools competing for the reduced pool of applicants may be sorely tempted to cook their admissions and job placement figures. Interestingly, plaintiffs’ lawyers have noted the issue and are pondering whether inaccurate reporting should be met by a class action lawsuit on behalf of students. Institutions of higher learning used to presume to occupy the moral high ground. More and more, however, those institutions behave like businesses and are facing the same kinds of scandals we see in the business world. What do such scandals mean for a school’s ability to achieve its educational mission? How is a law school that admits to falsifying data supposed to enforce an honor code, or credibly instruct students about legal ethics? Saturday night, the Nebraska Cornhuskers football team plays its first conference game as a member of the Big Ten. When the ball is kicked off and that game begins, the long-awaited expansion of the Big Ten becomes a reality. Fittingly, Nebraska’s first game is also a big game, and one that should give them a proper Big Ten welcome. The undefeated, eighth-ranked Huskers travel to Camp Randall Stadium to take on the unbeaten Wisconsin Badgers, who sit at number 7 in the polls. For a visiting team, Camp Randall is one of the toughest venues in the Big Ten, with the distinctive traditions found in many Big Ten stadiums. Nebraska will have to endure the taunts of the Wisconsin faithful and then, when the third quarter ends, feel the field shake when the stadium rocks and the student section hops to House of Pain’s Jump Around. It’s hard to predict what will happen in this game. Wisconsin has pulverized its opponents, but it really hasn’t played anybody with a pulse yet. (C’mon, Wisconsin — it’s time to start scheduling some more competitive out of conference games. South Dakota? Really?) Nebraska has beaten marginally better teams, but has given up a lot of points. Given the caliber of the opponents, there’s no way of telling how tough these teams are. Saturday’s game will give us a tentative answer to that question. As a long time Big Ten fan, I’ll probably be rooting for Wisconsin to win. Although I welcome Nebraska to the party, I want the Cornhuskers to understand that they’ve joined a tough, hard-nosed conference with more tradition than any other. A hard-fought loss in their first conference game seems like a very good way to send that message. Don’t look now, but states are jockeying to move up the dates of their primaries, caucuses, and other electoral contrivances. Florida has indicated that it is going to move its primary to January 31. If it does so, expect South Carolina, New Hampshire, Nevada, and Iowa to follow suit, so they can maintain their current positions in the presidential pecking order. Such a result could mean the Iowa caucuses happen on January 9, 2012. Happy New Year! It’s time to vote! It’s silly to be voting in January, 10 months before the actual election. No rational person would want to front-load the process because it increases the risk that a flukey candidate might get on a roll and knock everyone out of the race, only to be exposed months later as a hapless lightweight who isn’t ready for prime time. Rick Perry’s recent bumbling, fumbling, stumbling performance at a Florida debate aptly demonstrates why it makes sense to draw out the process, to give the candidates the chance to mature and to give the public a reasonable amount of time to get to know who they’re voting for. So why is there this irresistible impetus to keep moving things up? States might claim it’s to maintain a tradition or because they want to have a say in selecting the candidates, but I think the real reason is money. Huge sums are spent on political campaigns these days, and the media flocks to the early primary states. Early primaries have more candidates and more campaigns spending cash, and states want to get their share. So why not schedule an early primary and then sit back and watch the hordes of candidates, staffers, consultants, pundits, and reporters descend, fill your hotels, restaurants and bars, buy the TV and radio spots and employ the printing presses, and pump up those hospitality and sales tax receipts? Early primaries are good business. People at our office are always coming up with events to try to keep the workplace interesting. Recently they announced that, on some date in the near future, there will be an “ugly sweater” contest. With that innocent, well-intentioned decision, they placed the fashion-challenged among us at enormous risk. The problem is that, once you get beyond a solid colored sweater, there is no sure way of distinguishing an “attractive” sweater from a repulsive one. 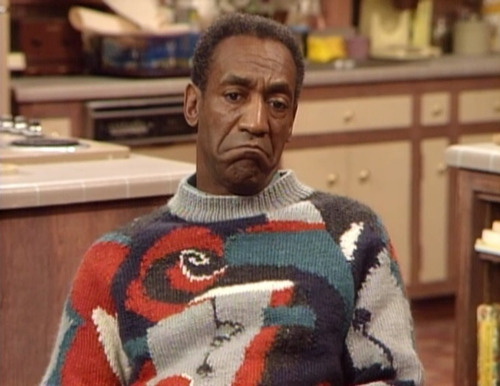 This isn’t an issue for men’s attire; few guys have a taste for sweaters as vivid and outlandish as those worn by Dr. Cliff Huxtable on The Cosby Show. Women are another story, however. You may see sweaters with hanging fuzzballs or swaying threads of yarn, scattered sequins, ribbons, or spangles, large Brutus Buckeye figures, bright orange pumpkins, or fake fall leaves sewn on, or blinding abstract designs that could have been ripped from the walls of the Guggenheim. And there appears to be no rule of thumb that allows you to safely place one sweater versus another in the humorous, isn’t-this-a-razz,”ugly” category. Therein lies the awful risk. A guy might cheerfully tell a fellow passenger in the elevator that their sweater is a sure winner in the “ugly sweater” contest, only to realize from the icy response that the event isn’t until the day after tomorrow. Or he might compliment a co-worker about her lovely ensemble, and then be advised that she thinks the sweater is hideous and certain to prevail in the competition. The opportunities for a colossal faux pas are endless. The safest course is to stay in your office, keep your head down in the common areas, and avoid any discussion until after the contest day has passed and a period of apparent sweater normalcy has returned. 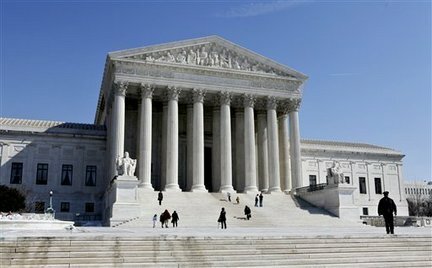 It is looking increasingly likely that Supreme Court will hear an appeal of the ever-controversial “health care reform” law, and soon. Both sides to a lawsuit — the Department of Justice in favor of the law, and 26 states and the National Federation of Independent Businesses in opposition — have asked the Court to accept an appeal and decide whether the law should be upheld or struck down as unconstitutional. The Supreme Court has the discretion to decline the appeal, but the fact that the appellate court declared the law unconstitutional, and the fact that both sides to the case are seeking review, should increase the chances the high court will hear the case. Stripped of its partisan baggage, the appeal poses a fascinating legal issue: how far does Congress’ power to regulate interstate commerce extend? In prior cases, the Court has articulated an expansive view of that power. However, opponents of the new law argue that this case is different because Congress — through the “individual mandate” provision that requires all citizens to buy health insurance — is for the first time assuming the power to compel unwilling citizens to engage in commerce. Proponents of the law respond that, when it comes to health care, every living American is already affecting commerce, because those who don’t have insurance and then need health care are imposing economic burdens on the rest of us. A Supreme Court decision on this issue would go a long way toward defining, once and for all, the full extent of Congress’ power to regulate the daily lives of Americans. If the Supreme Court takes the appeal, it would be likely to rule in the summer of 2012 — just before a presidential election where the wisdom of the “health care reform” law is likely to be a very hot topic. And the decision will come against the backdrop of a recent report that shows a sharp increase in health care costs, which undoubtedly will cause Republican candidates to blame the unpopular new law and redouble their attacks on it. Eastern Ohio — home to many depressed communities and unemployed residents — is becoming a boom area thanks to a rock formation called the Utica Shale. The Utica Shale lies far below the surface under parts of eight states. Geologists believe that it may contain huge reserves of natural gas and oil and that one of the best areas to get at the resources is eastern Ohio. Big oil companies are moving into the area, buying lease rights and getting ready to drill in earnest. Today one of those companies, Chesapeake Energy Corp., said that initial wells in the Utica Shale showed strong production, which has heightened the interest even more. Because the Utica Shale is so far below the surface, the companies use deep and horizontal drilling technology and then apply a technique called hydraulic fracturing, or “fracking,” to free the resources from the shale. Environmentalists argue that fracking poses undue risk of groundwater contamination, but the oil companies contend the process is not dangerous and has been used safely for years. 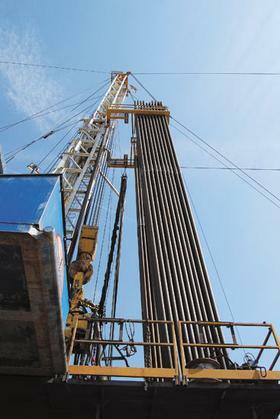 For the citizens of eastern Ohio, the Utica Shale find is an economic godsend. The sale of lease rights are making landowners wealthy, oil companies are setting up shop in the area, and the eventual extraction of the natural resources will produce a host of new construction and long-term blue collar and white collar jobs. The state will want to ensure that the wells are operated safely, of course, but the impetus to develop the resources and bring jobs to the area seems irresistible. It’s hard not to contrast the Utica Shale boom with the government effort to spur green energy. Oil and gas companies are spending billions of dollars to get at natural resources that have proven value and can be obtained using established technology. They have moved rapidly to identify the potential resources, obtain drilling rights, and erect rigs and start work. And this burgeoning economic activity has not required costly government subsidies, slow-moving government bureaucracies, or politicized, heavily lobbied programs that advantage one manufacturer over another. This textbook lesson in the speed, nimbleness, and efficiency of capitalism will create new wealth and lots of new jobs in Ohio that cannot be moved overseas. All of which should lead everyone to ask: if we want to immediately create jobs here in America, why isn’t the government making sure there are no unnecessary barriers to the development of our other existing natural resources?